Win merchandise with Marvel’s Avengers S.T.A.T.I.O.N. 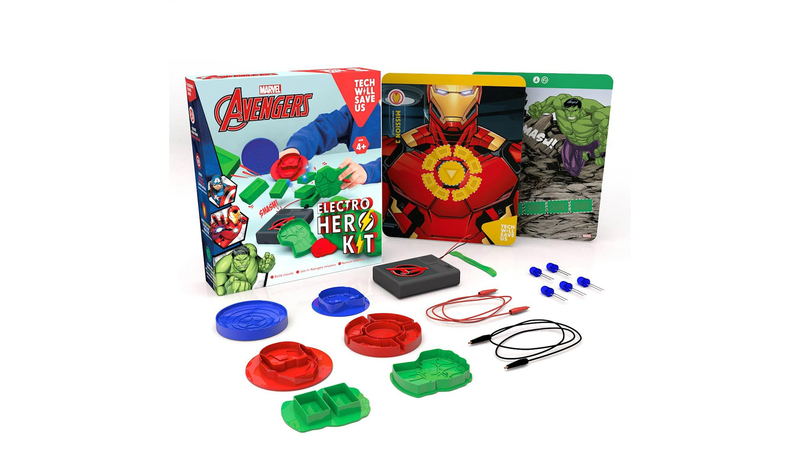 To mark the opening of Marvel’s Avengers S.T.A.T.I.O.N., we’ve been given 3 Marvel Electro Hero Kits to give away from Tech Will Save Us. Marvel’s Avengers S.T.A.T.I.O.N. has opened at ExCeL London, following a hugely successful run in New York, Seoul, Paris, Singapore, Beijing, Taipei and Las Vegas where it has set up a permanent exhibition. This highly anticipated multi-room experience offers fans of all ages the opportunity to delve into the super-workings and backstory of each member of The Avengers as they train to become an agent of the S.T.A.T.I.O.N.